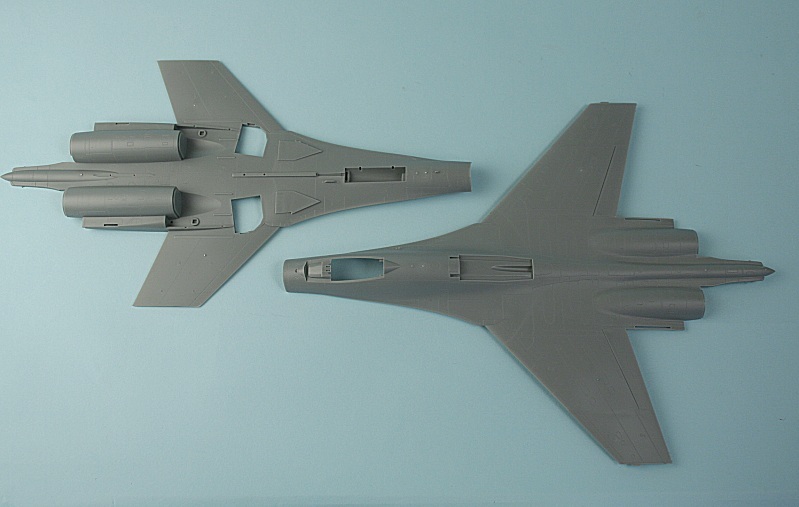 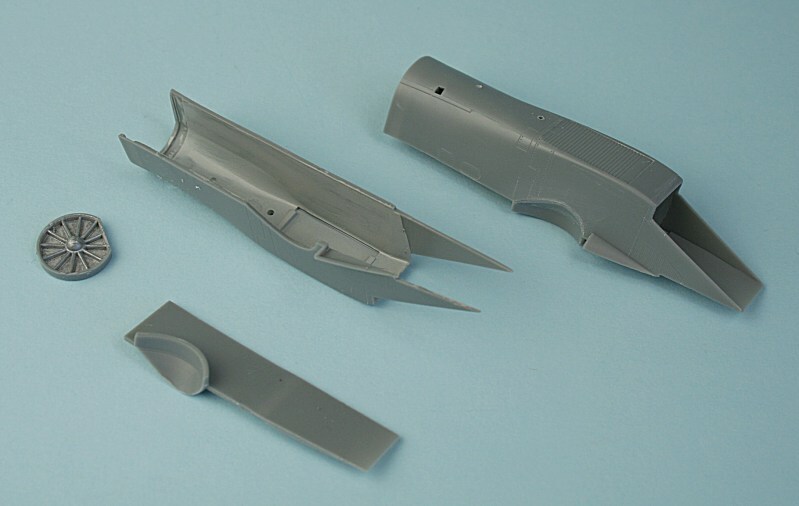 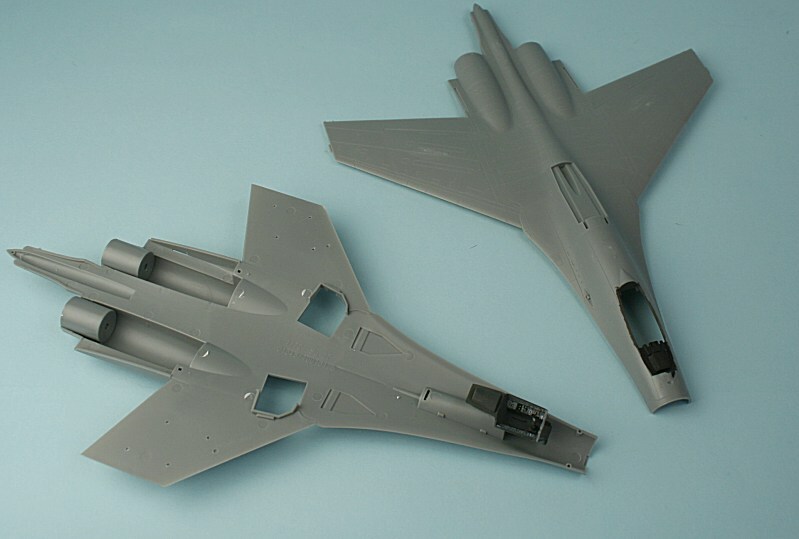 Top and bottom fuselage halves. 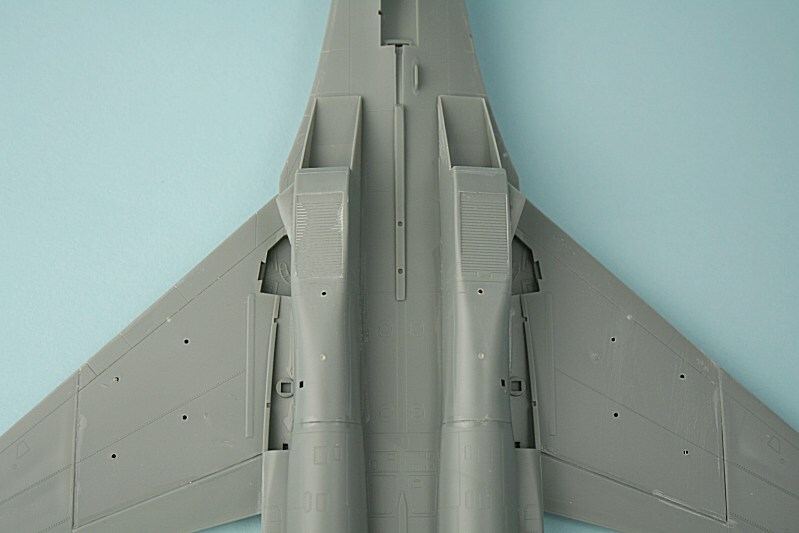 Oddly angled main wheel bays. 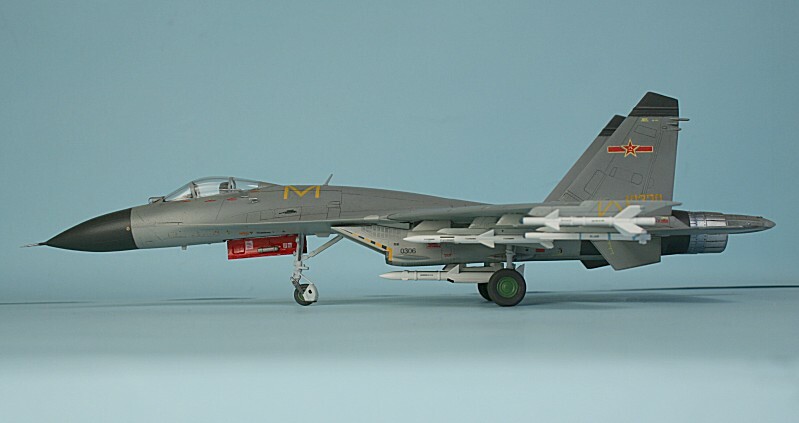 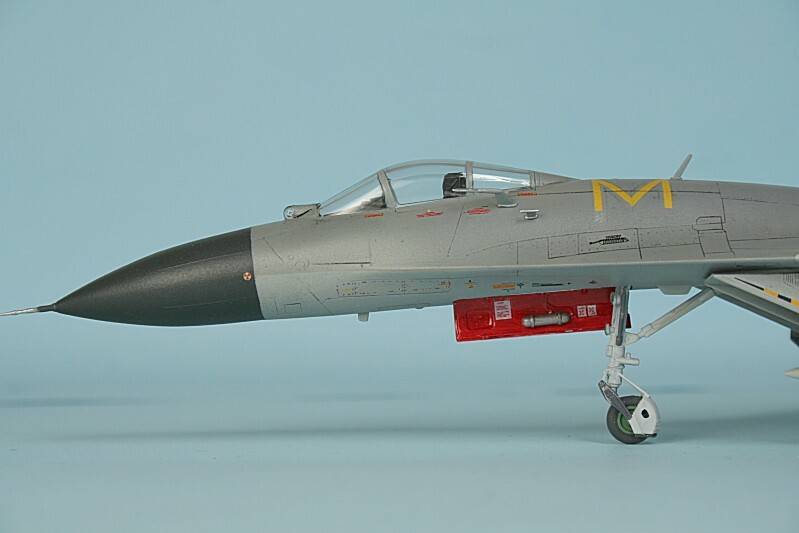 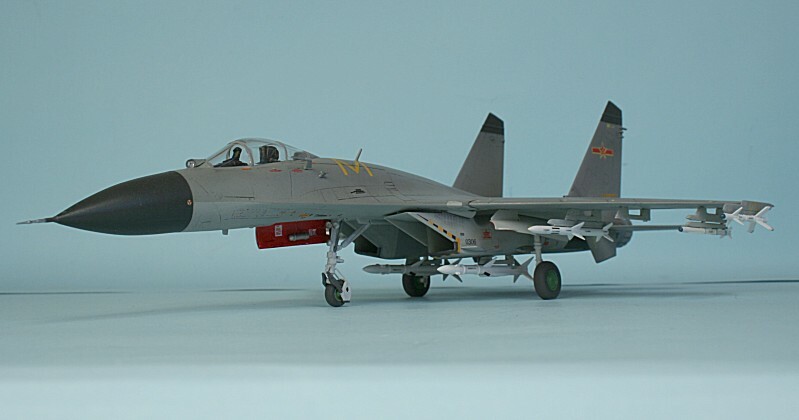 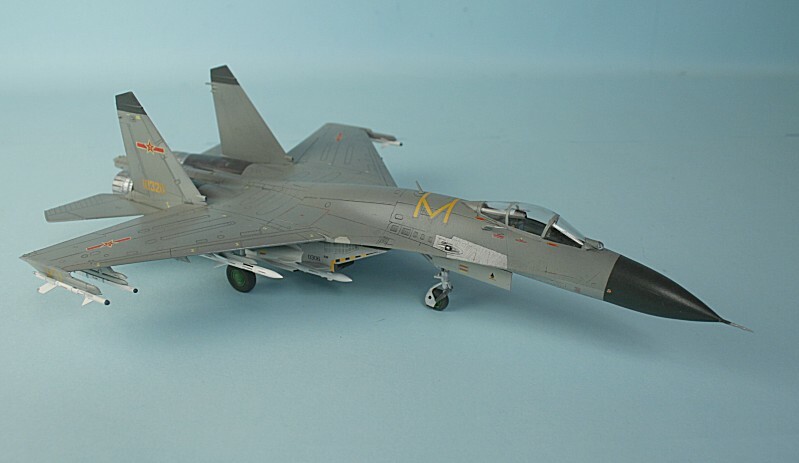 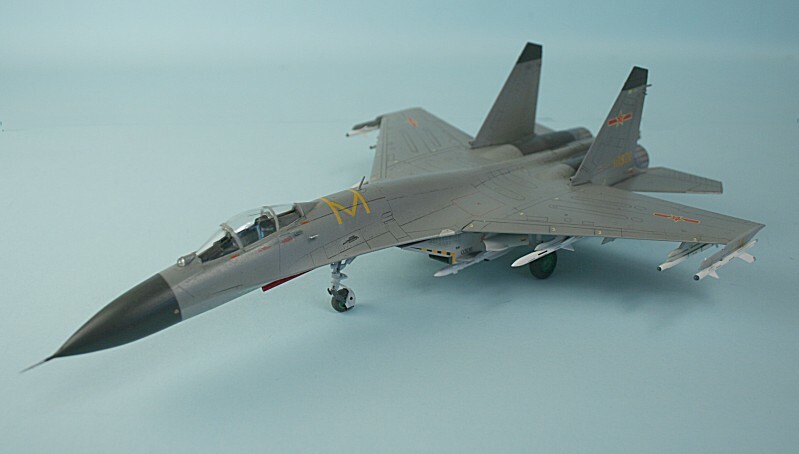 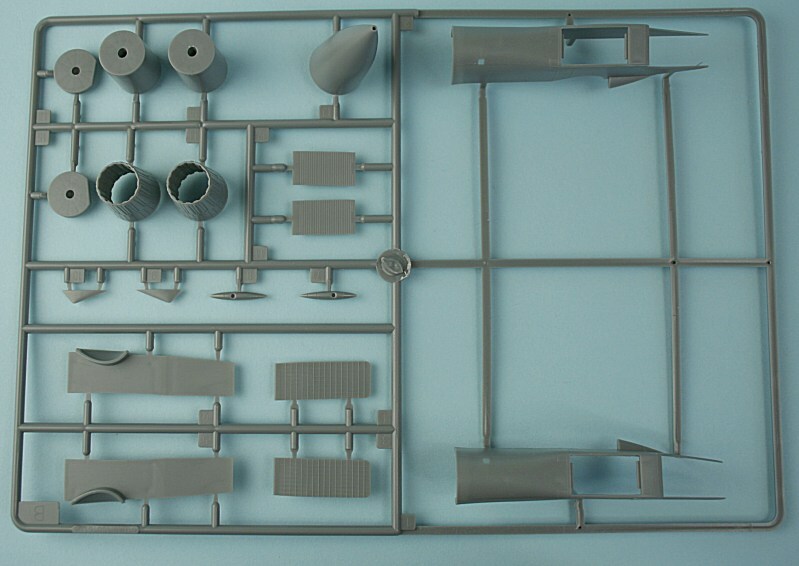 Note 2 X radomes, ejection seats, instrument panels and 2 X sets of tailplanes. 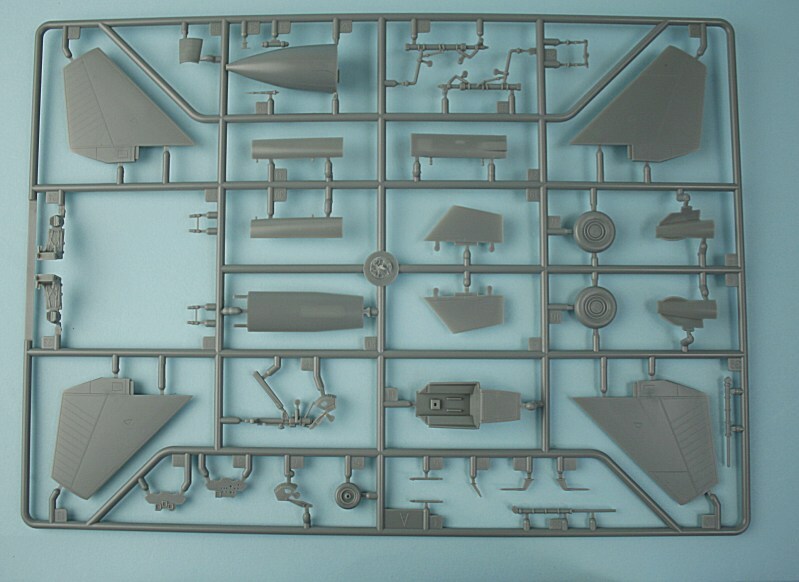 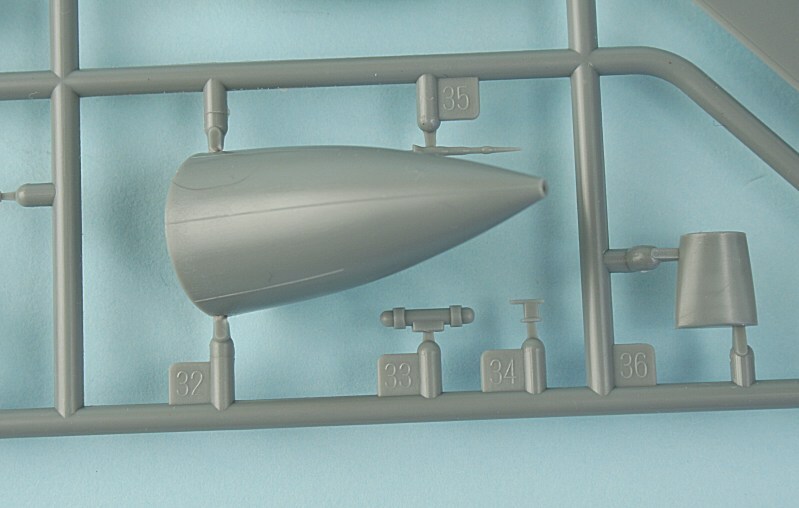 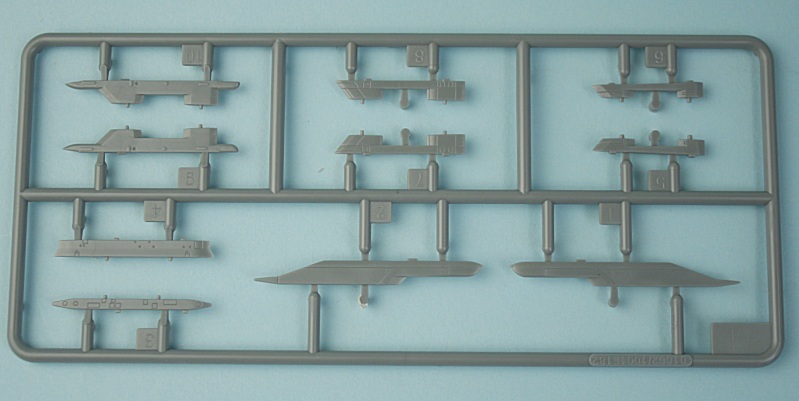 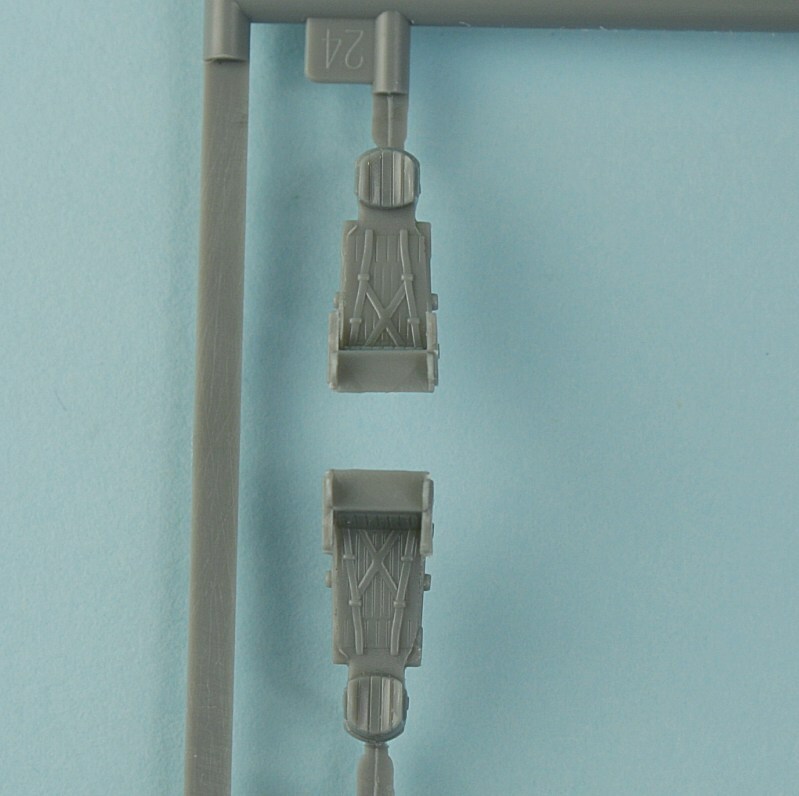 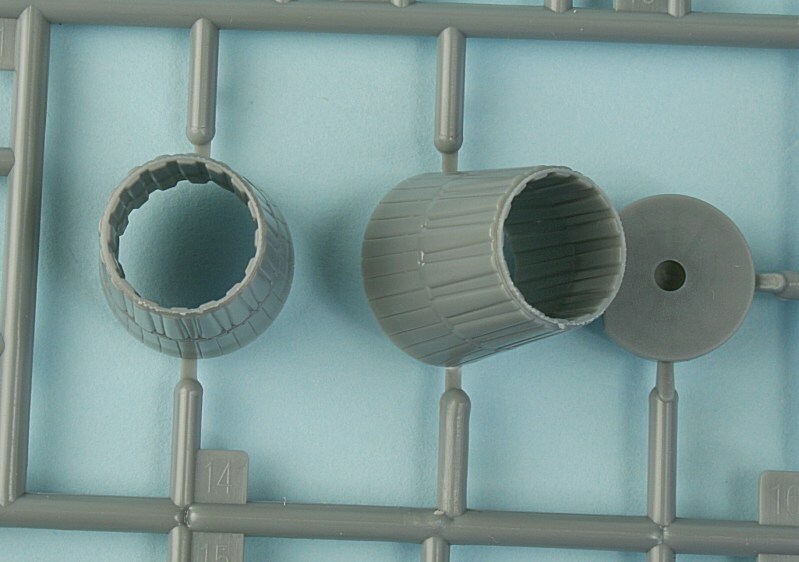 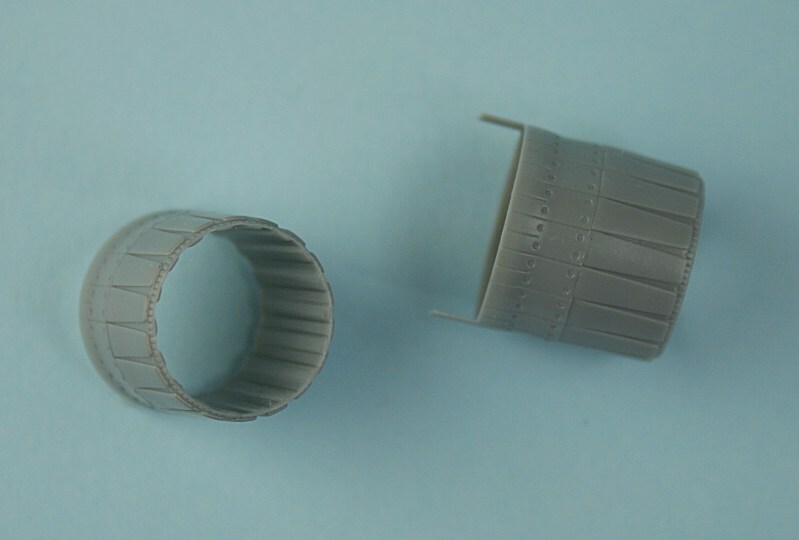 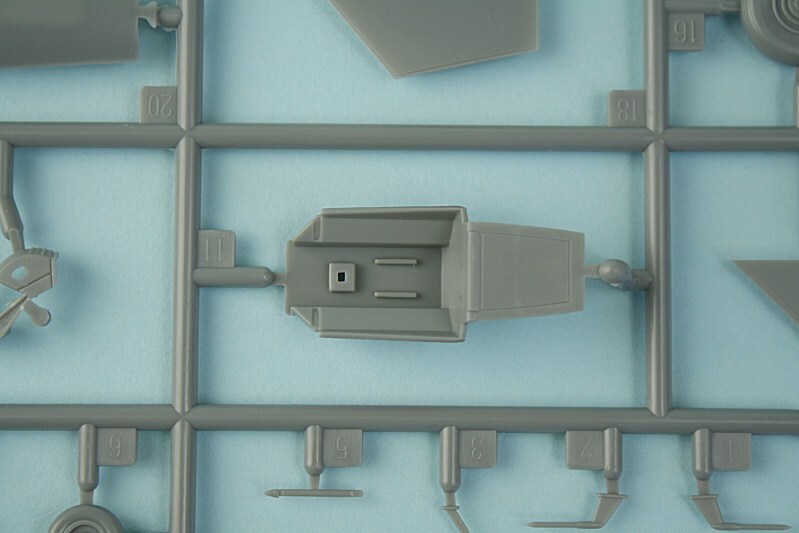 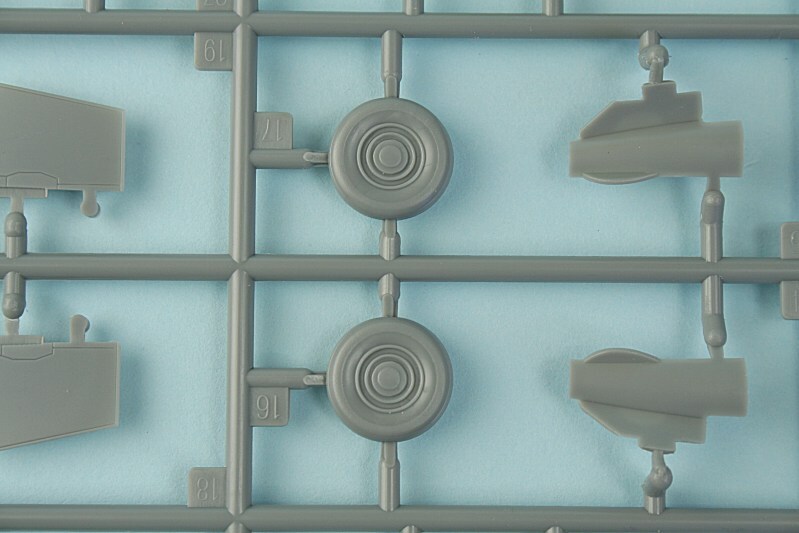 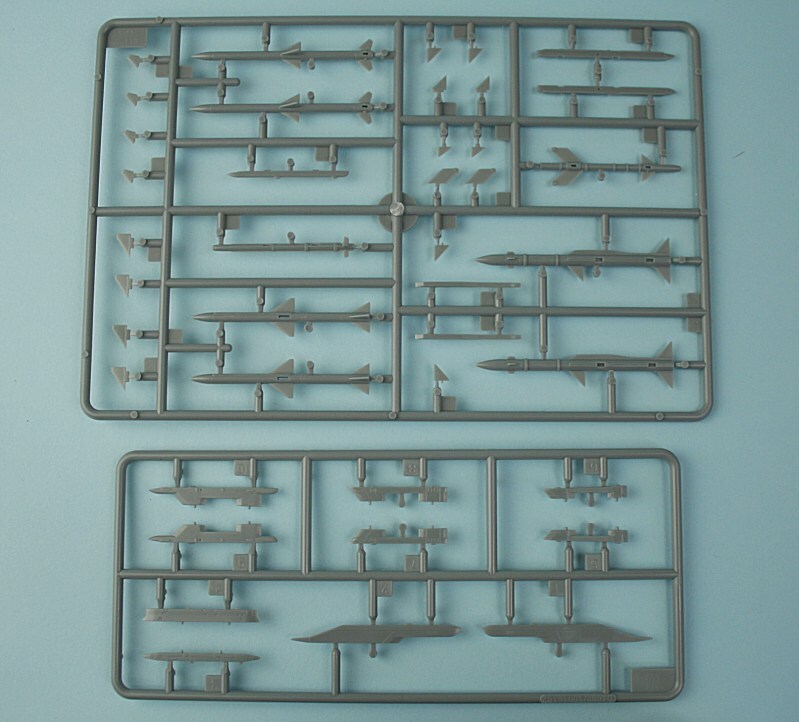 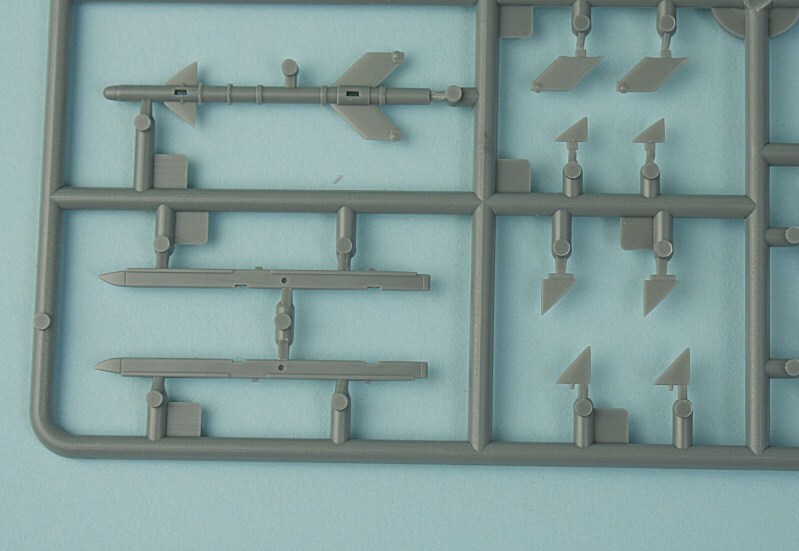 Missile sprue (4 of) and pylons sprue (2 of). 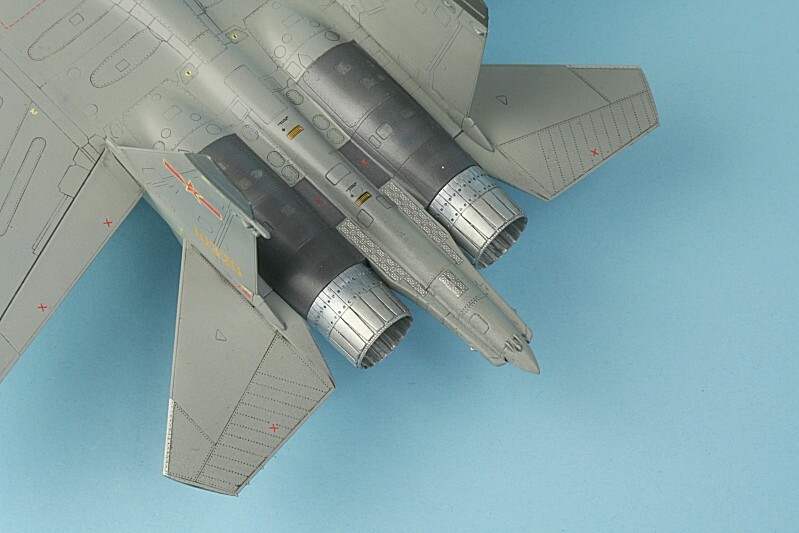 Extra nozzles for WS-10 engines. 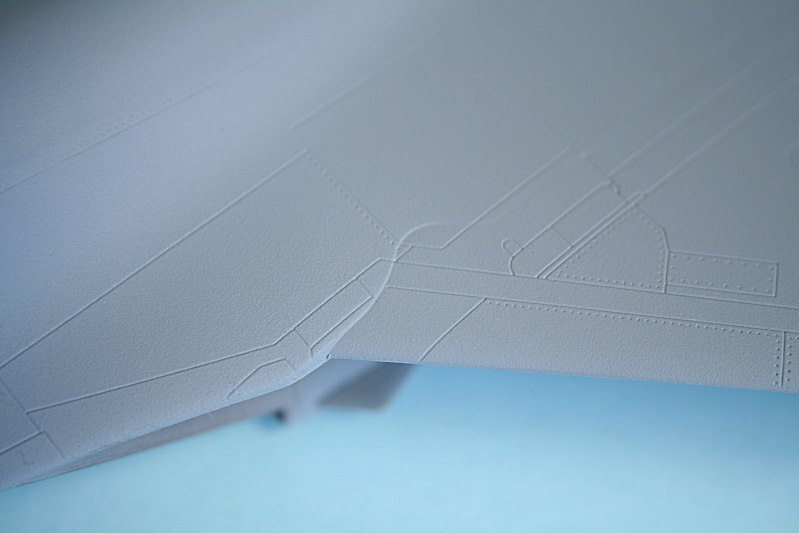 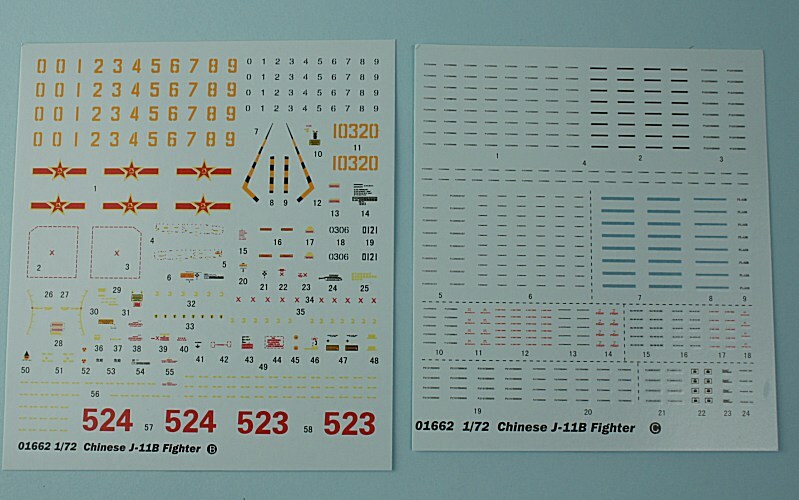 Markings and stencils decal sheets. 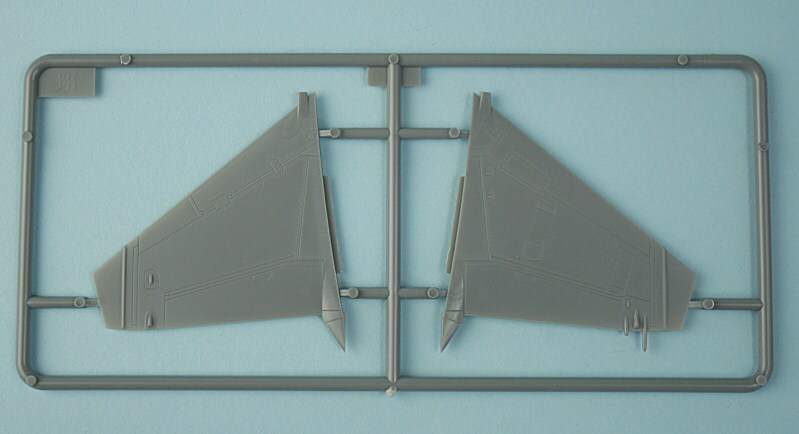 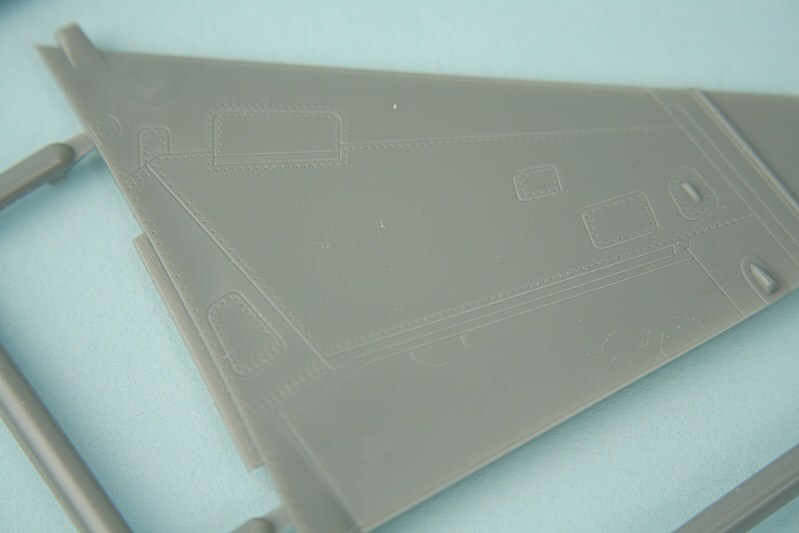 Decals for instrument panels and chaff/flare dispensers. 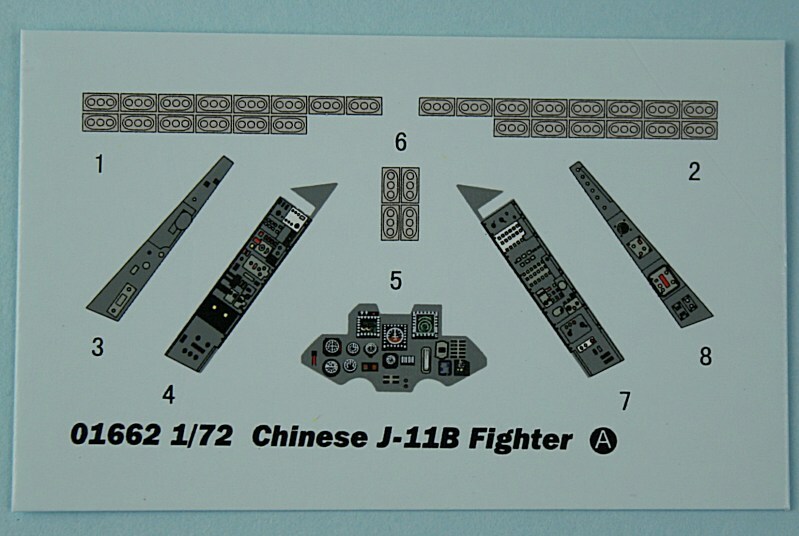 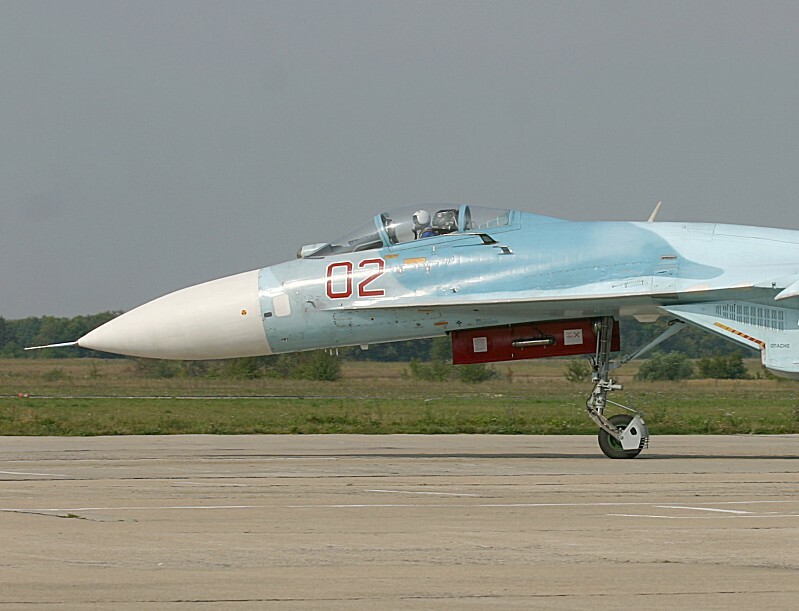 2 X Instrument panels - Su-27 (left), J-11B (right). 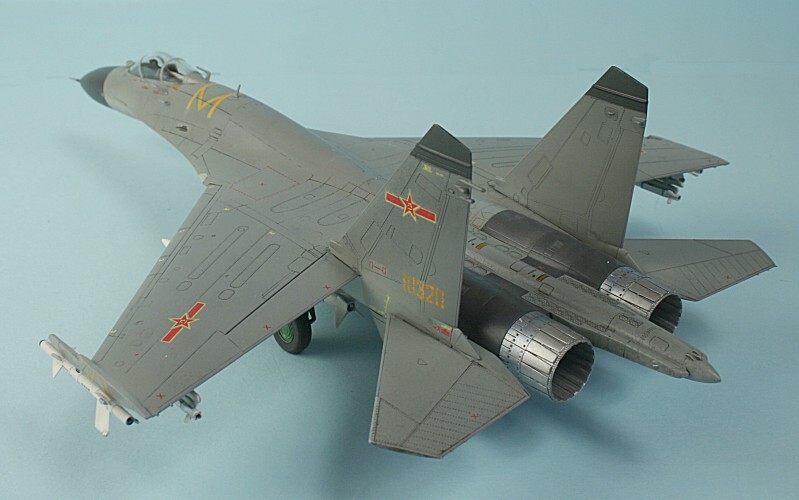 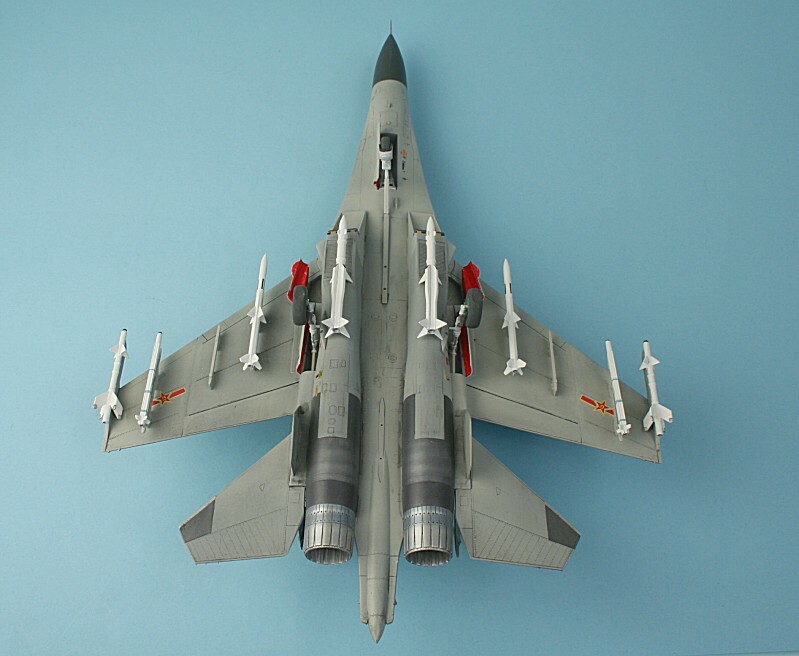 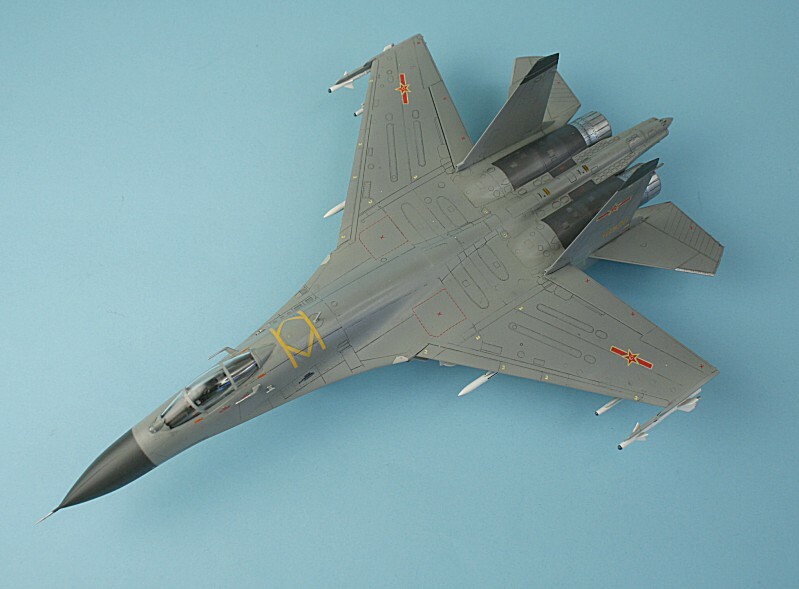 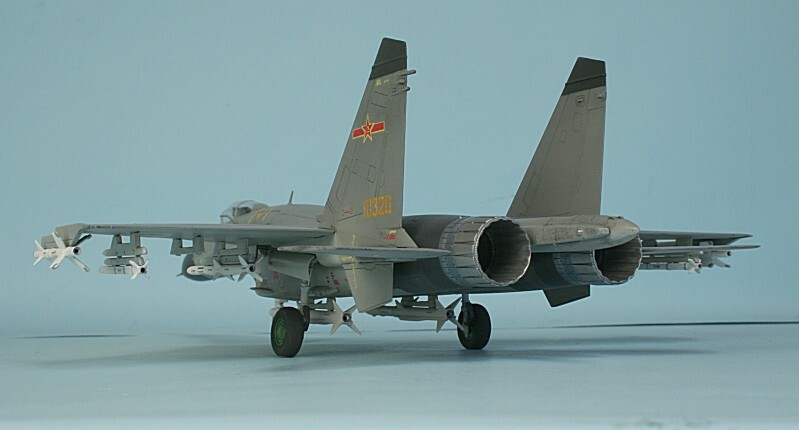 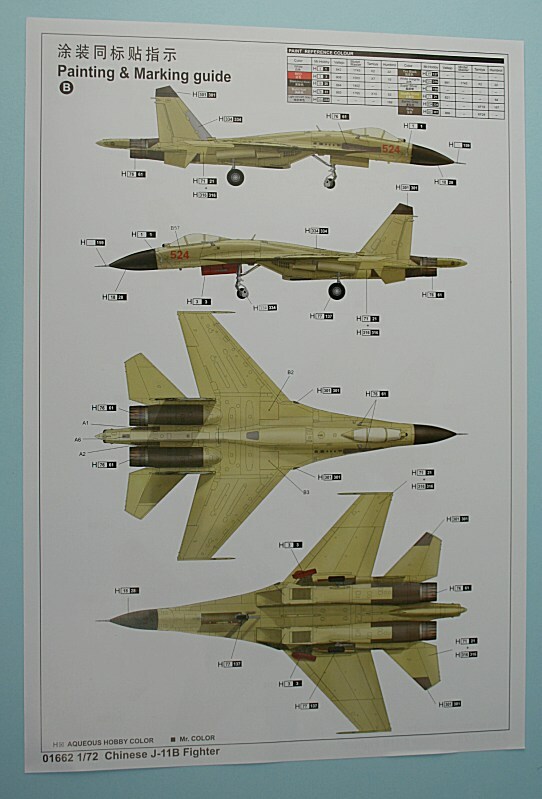 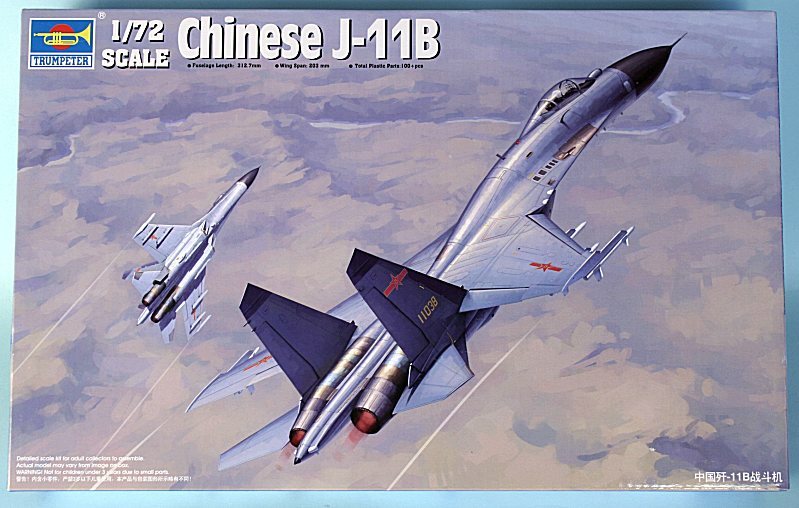 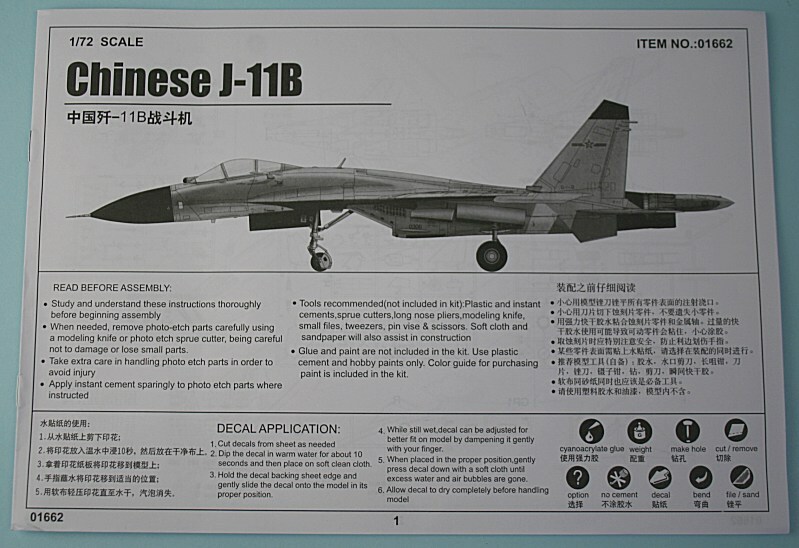 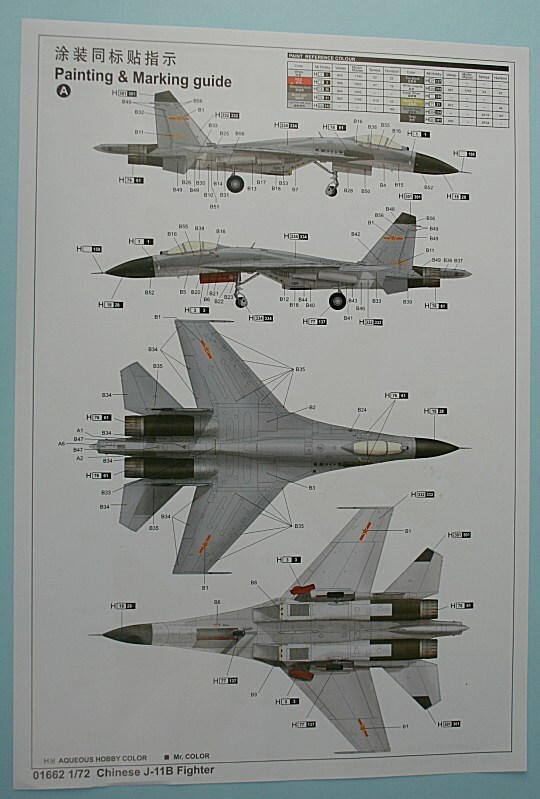 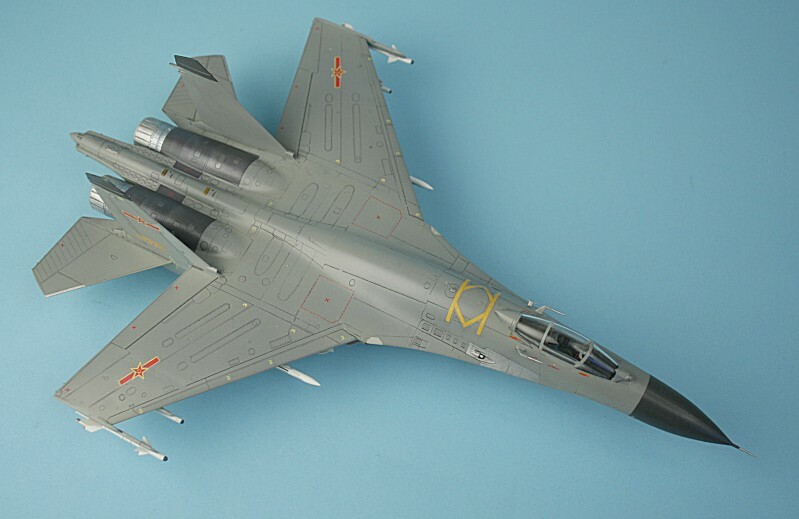 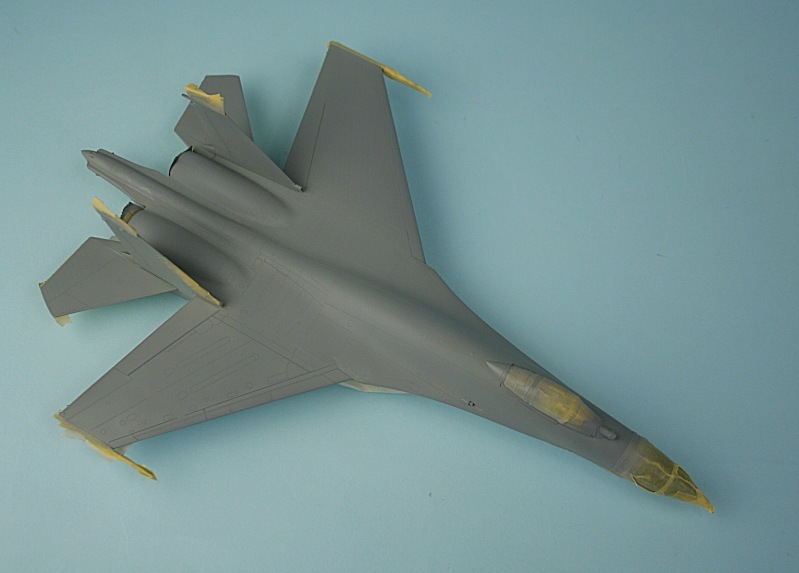 J-11B radome with strengthening/lightning strips. 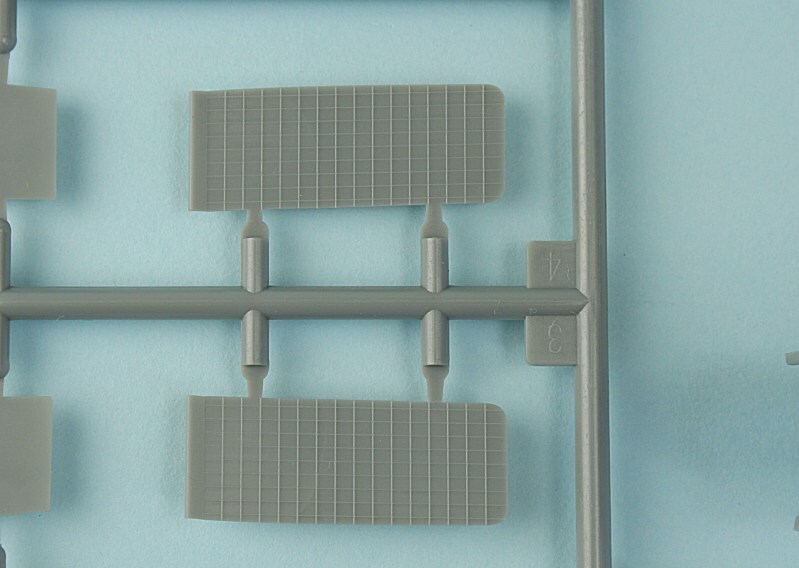 Anti-FOD mesh screens are solid. 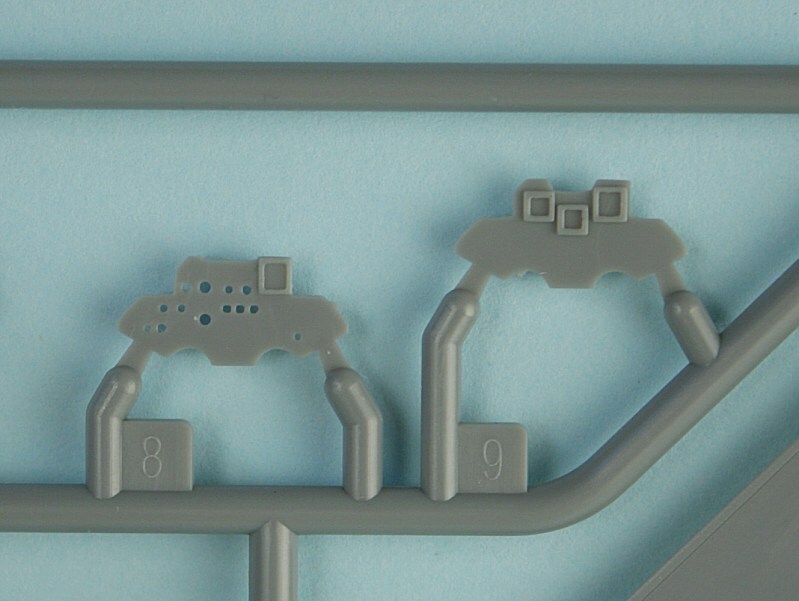 Painting guide for operational machine. 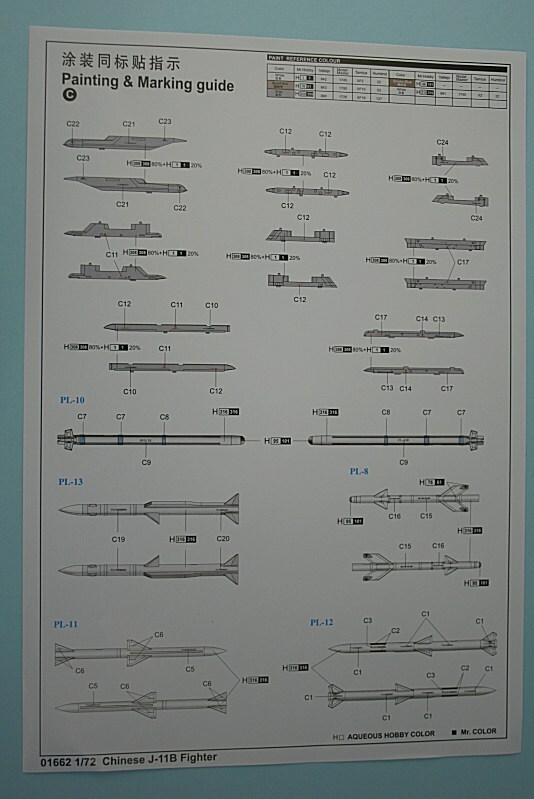 Missile painting and decalling guide. 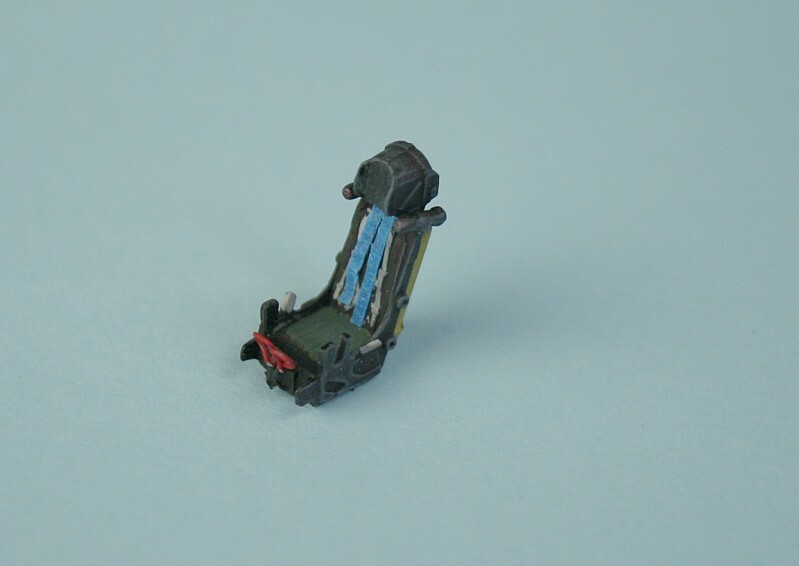 Cockpit - painted very dark grey and decals added. 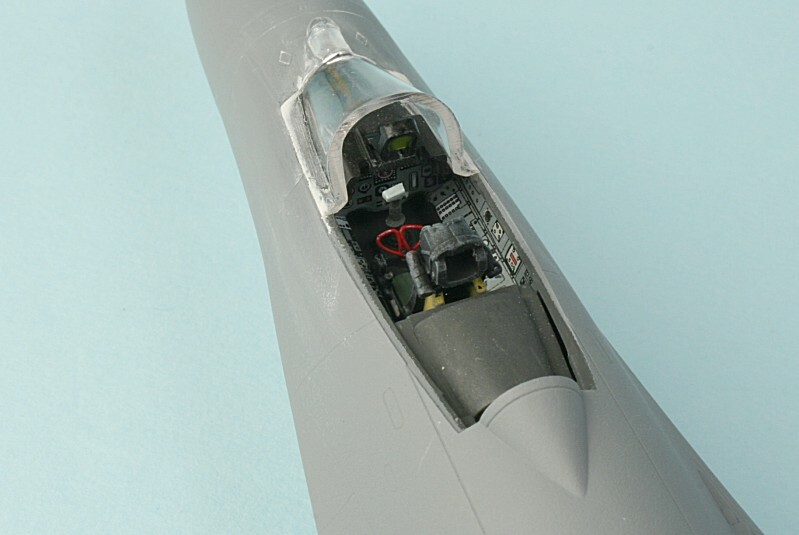 The cockpit tun sits on top of the nosewheel bay - and the jetpipes are added. 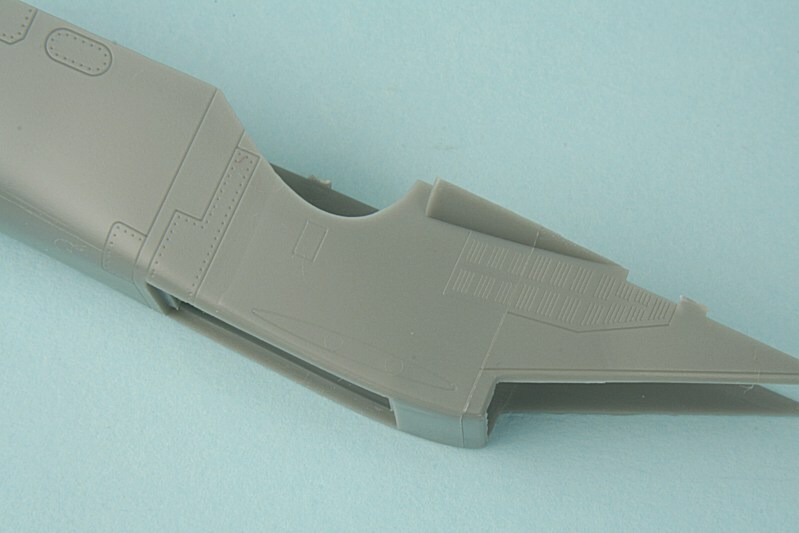 ... effectively hiding those odd-angled wheel bays. 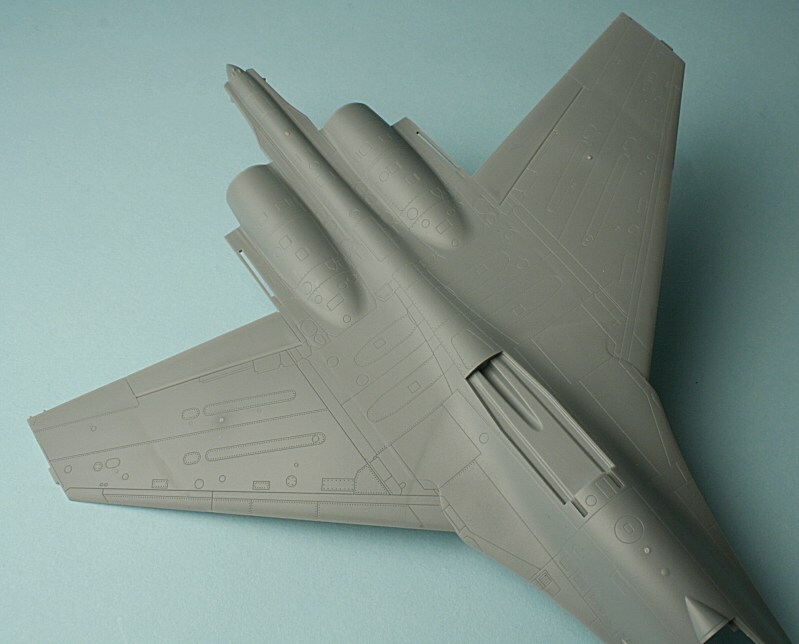 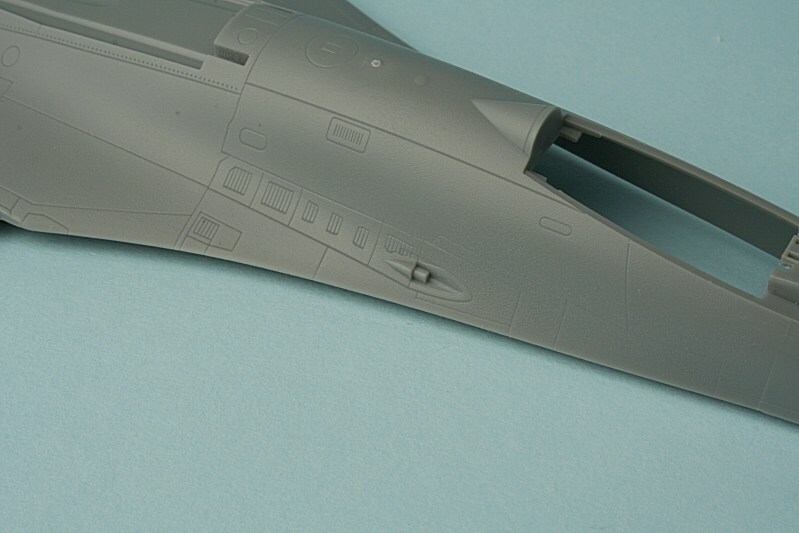 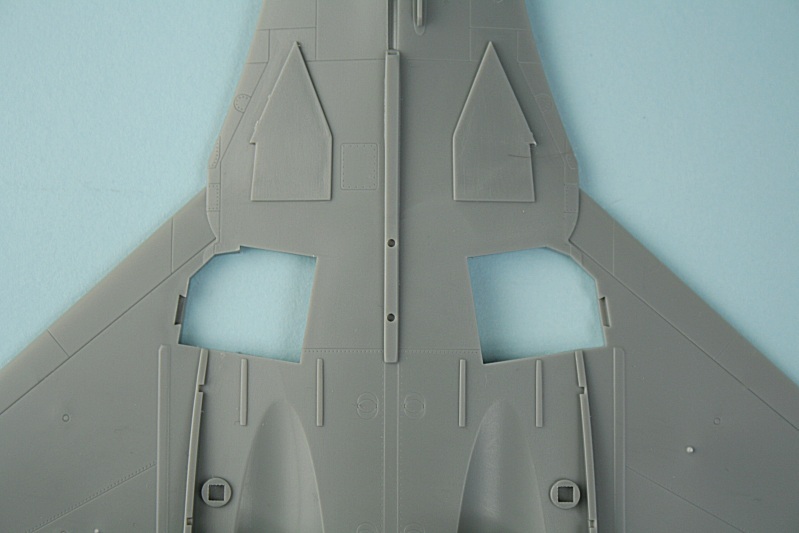 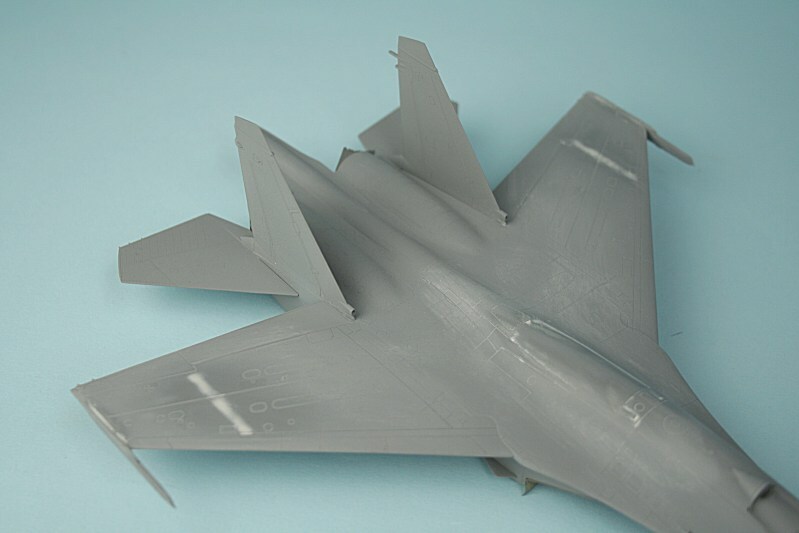 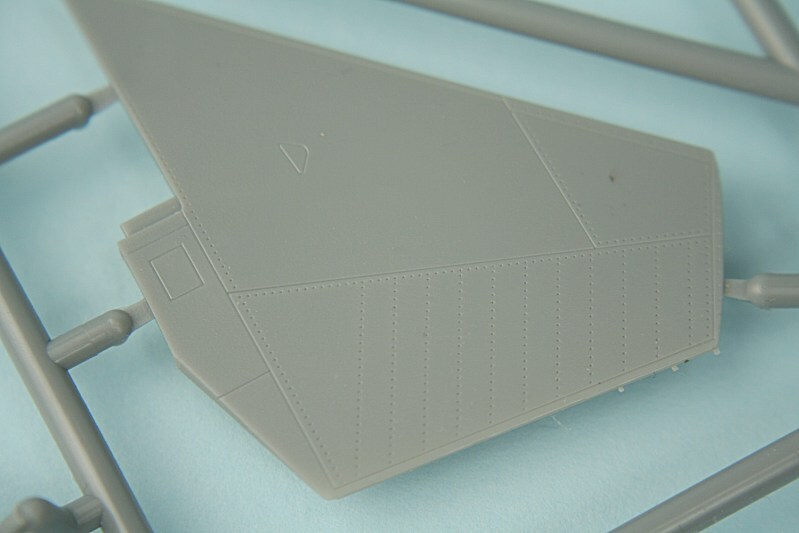 The first primer coat revealed those nasty sink marks on the wing upper surface - easily fixed with a smear of filler. 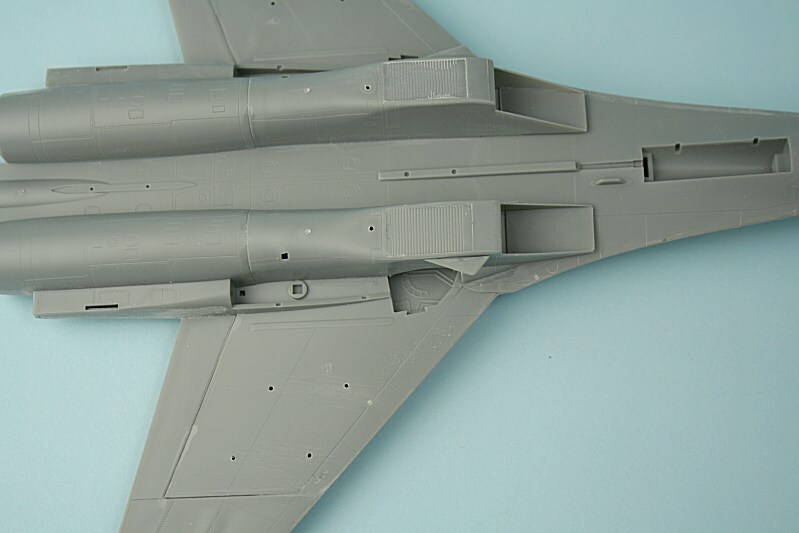 Strange moulding on the wingroot. 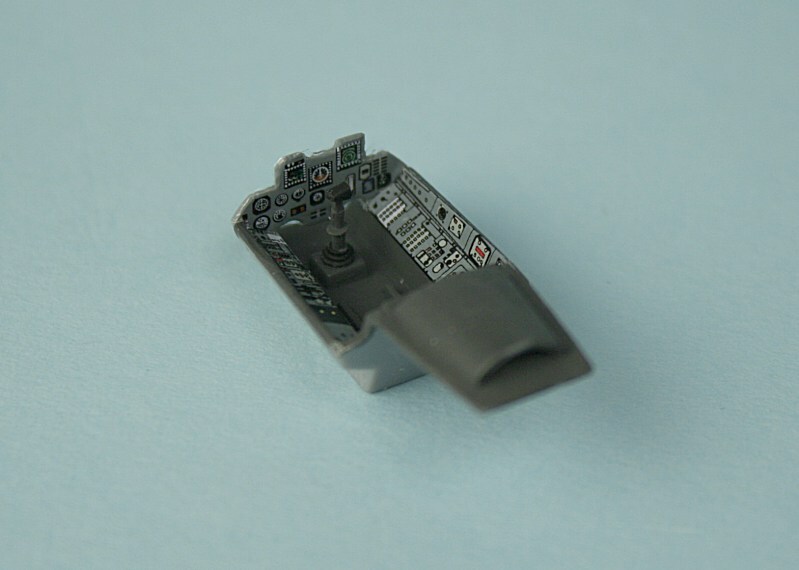 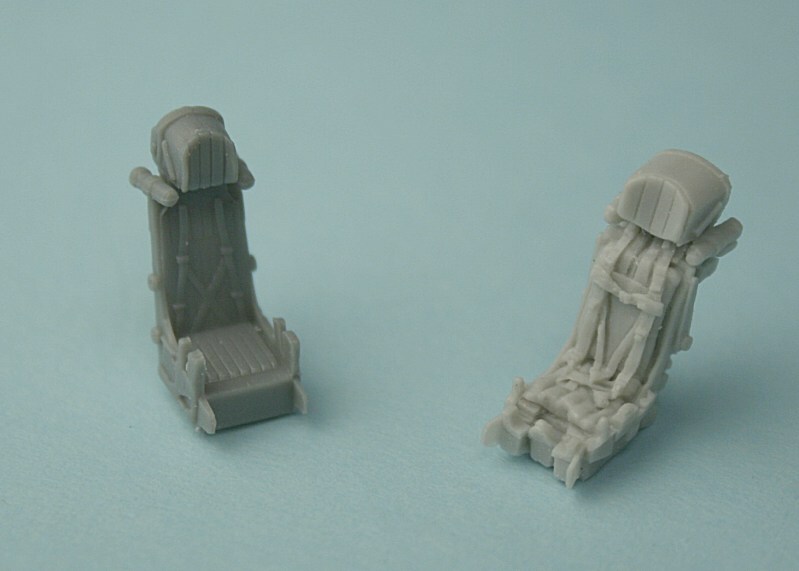 For a kit seat, Trumpeters rendition of a Zvezda K-36 isn't too bad - I added a firing handle from fuse wire.